Free Daily Horoscope for your star sign. 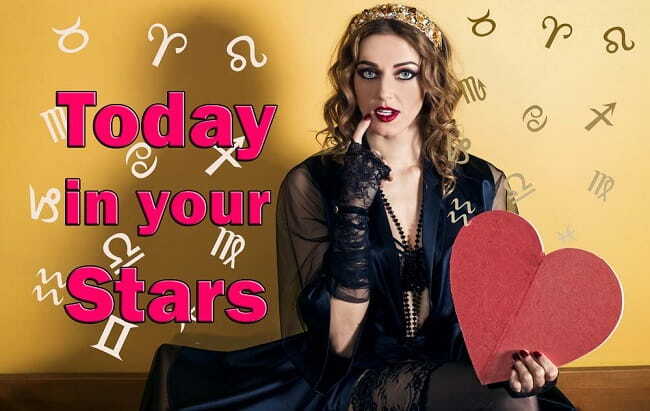 Get accurate forecasts on matters of career and love and find out what the stars predict for you today Tuesday 23 April 2019! Venus in Aries meets Chiron in Aries, making this a deep and meaningful day for love. Relationships are put to the test. Your heart opens like a flower as Venus and Chiron make a go of it, showing you all your weak and vulnerable spots. Love calls for bravery tonight! The Sagittarius Moon sees the glass as mostly full so you’ve got nothing to fear. Onwards and upwards! Read on for your daily horoscope and the forecast for your zodiac sign. Venus is newly in Aries and the Sun newly in Taurus this week and, barely do they take a few steps forward before they bump into Chiron and Uranus respectively. These are two major planetary influences that will colour the next seven years so, sit up and pay attention! The Sun conjoined Uranus and rocked your world overnight, giving you a preview of the changes that are to come. Weird dreams? Unsettling random events? That’s all Sun-Uranus. And now Venus and Chiron are here to teach you all about relationships. To thine own heart be true! Stand up and be counted - and give credit when others do the same. Honesty is of the highest value today. Things are changing dramatically. Put your best foot forward! Keep reading for the love and career horoscope for your star sign!